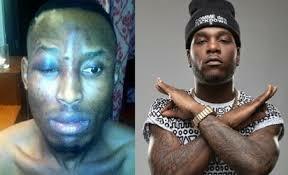 Nigerian musician, Burna Boy who was arrested last Friday will be arraigned in court today by the police. Damini Ogulu popularly known as Burna Boy, is to be arraigned in court today, December 18th over his alleged involvement in the robbery attack of Mr 2Kay, at the Eko Hotel in October after he was arrested on Friday. This comes weeks after he refused to honour police invitation. “There would be no sacred cows. This Command is poised to ensure that every resident can feel safe wherever they are and carry out their businesses without fear or favour. Anyone, therefore, found to be involved in this case would be made to face the law to clear his or her name or face prosecution,” the statement quoted Imohimi as saying. In November, the Lagos state Commissioner of Police, Edgal Imohimi, declared Burna Boy ‘wanted’ after his manager, Joe Kantiock, and two of the robbery suspects, confessed that the singer had paid money for the attack to be carried out.